Electric propulsion is the way of the future, but the charging infrastructure just isn’t there yet. 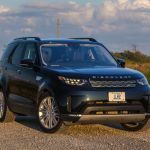 The long-awaited replacement for Land Rover’s LR4 has finally arrived, and is quickly climbing to the top of wish lists everywhere. 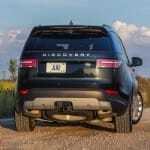 In fact, it has been quite some time since the Jaguar Land Rover group has produced a vehicle that ended up being a dud here in North America. 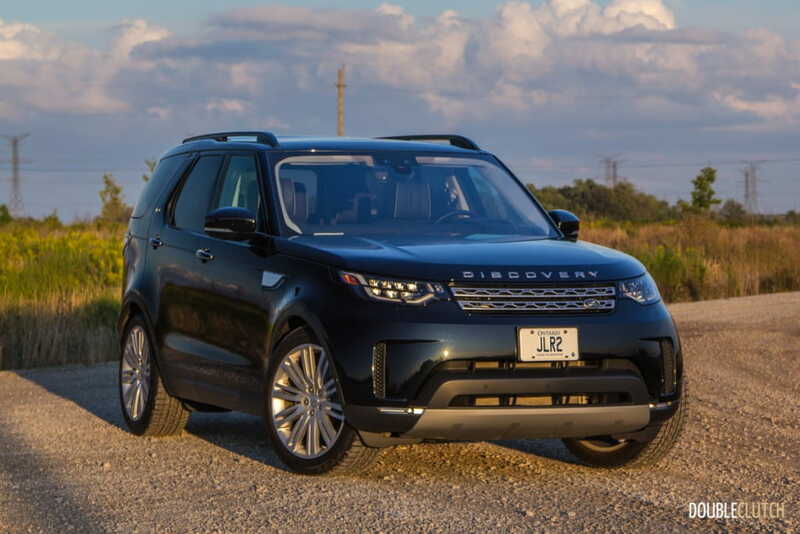 The 2018 Land Rover Discovery HSE Td6 represents a few firsts; most importantly the fact that this is the first time a Discovery is a unibody crossover rather than a body-on-frame SUV. 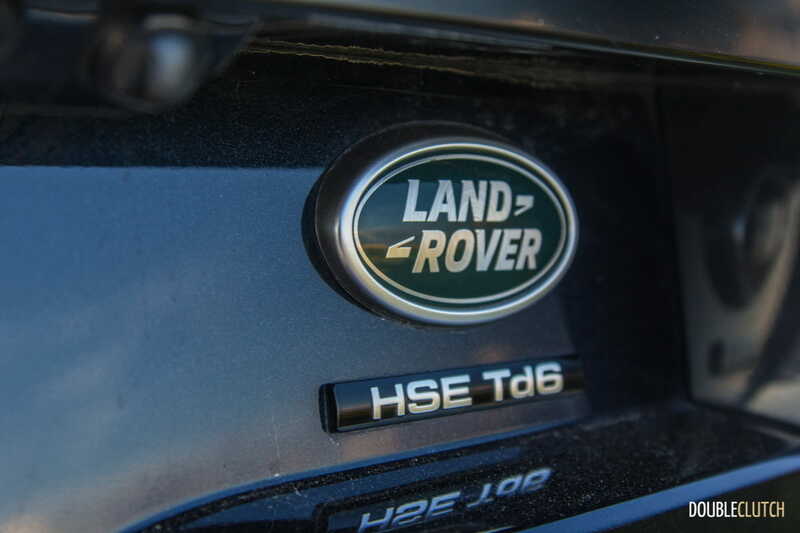 We were assigned a week with the diesel-powered Td6 model to evaluate just how relevant a diesel crossover still is today. 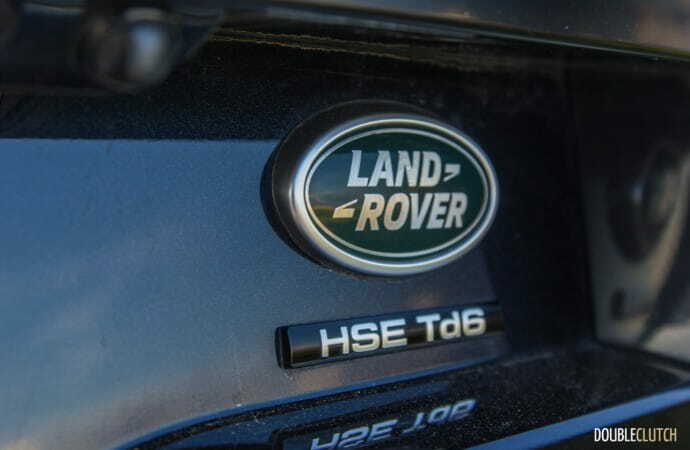 Available on both HSE and HSE Luxury trim levels, the Td6 motor is the same 3.0L V6 as seen in other JLR applications, most prevalently in the Range Rover (reviewed here). 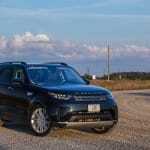 We actually put over 1,000km on a Range Rover Td6 during a winter road trip to the North American International Auto Show, and came away with a lot of respect for the vehicle. 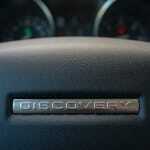 Output in the Discovery Td6 is 254 horsepower at 3,750RPM and 443 lb-ft. of torque at 1,750RPM. It’s a torquey motor, but exhibits less low-end grunt in the real world than the Jaguar XE (reviewed here). Power is more than adequate, as is torque, but where I’m going with this is that the Td6 doesn’t feel like your typical gutsy diesel. 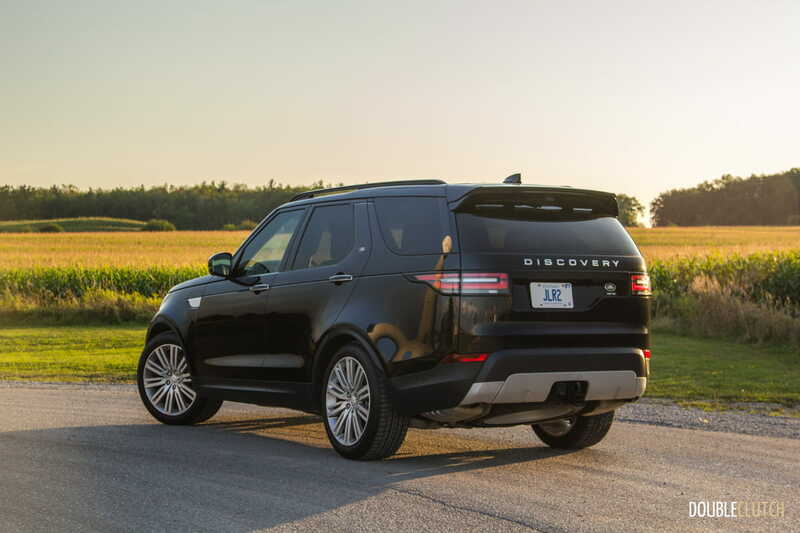 It’s so smooth and refined that it hardly feels different from the Discovery Si6 with the supercharged V6. 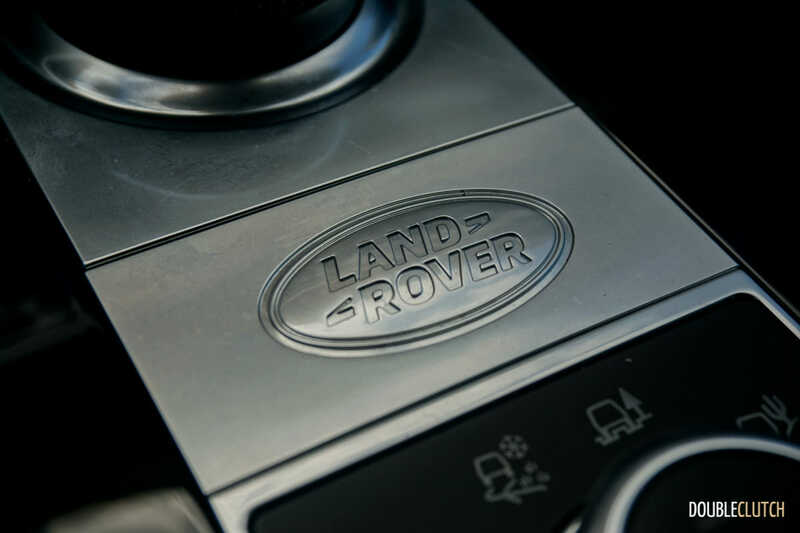 The motor packs an iron block with aluminum heads, along with direct fuel injection, so with regard to technology it’s right up there with the rest. A new Ingenium-series diesel is on its way, but this older diesel engine is so good that it’s hard to justify a case for the regular gasoline-powered Discovery. 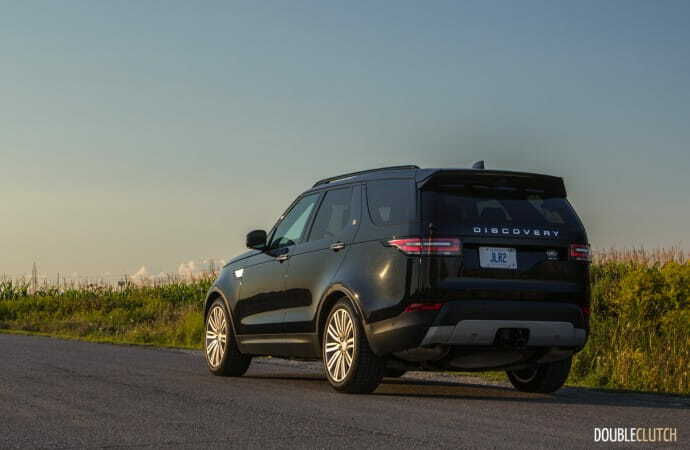 Things do start to fall a bit short as the Discovery is pushed a bit, as the engine’s quiet rumble becomes almost thrashy when asked to pull a faster pass. It’s reminiscent of a lazy teenager groaning when asked to get out of bed at a reasonable hour on a weekend. 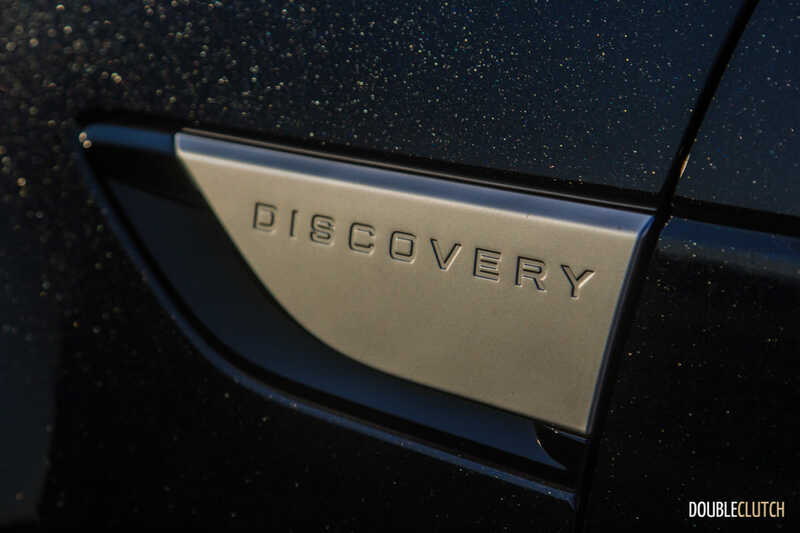 The Discovery tips the scales at just about 5,600 lbs. as tested, so it’s not a lightweight by any means. 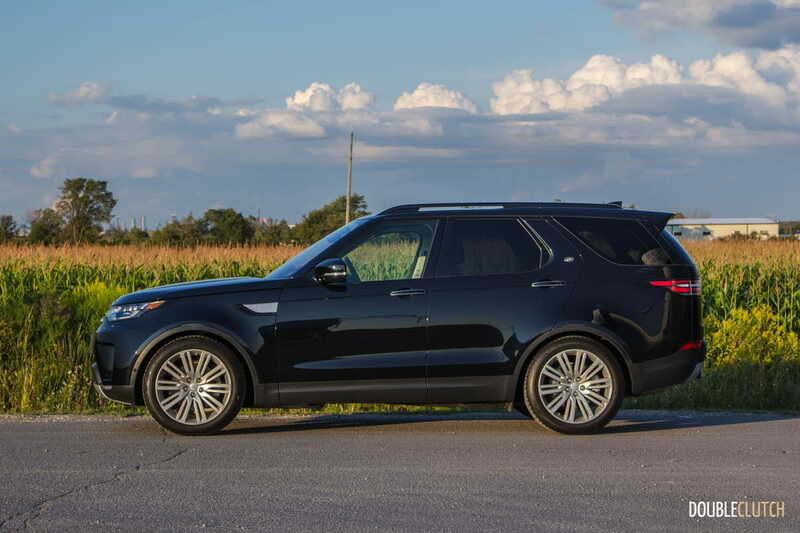 Brake feel is adequate, but when decelerating from highway speeds, it almost feels soppy and lazy, rather than poised like the larger Range Rover. 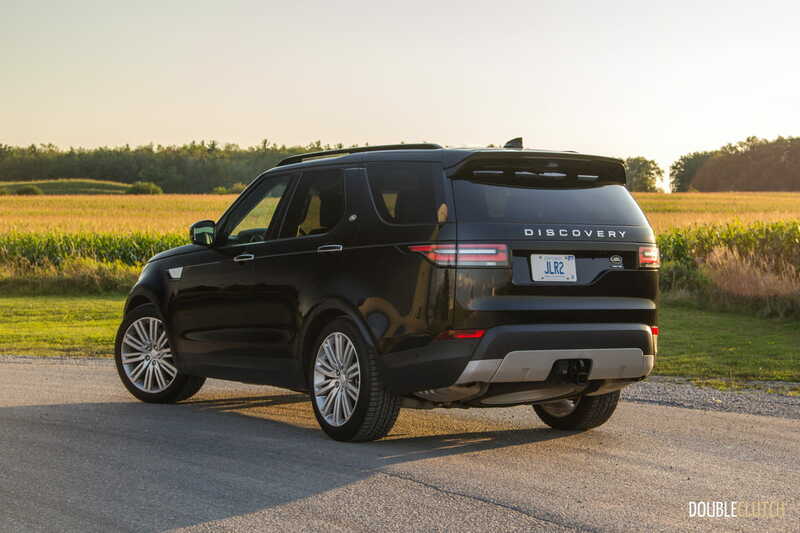 Considering the Discovery shares its platform with the Range Rover Sport (reviewed here) and the full-size Range Rover, it comes as no surprise that it rides as well as it does. On-road feel is absolutely spectacular, with excellent ride quality from the four-corner air suspension and excellent body control. It rides wonderfully on the highway, with the engine sitting right around the 2,000RPM mark, quietly grumbling away with a soothing, barely audible sound. 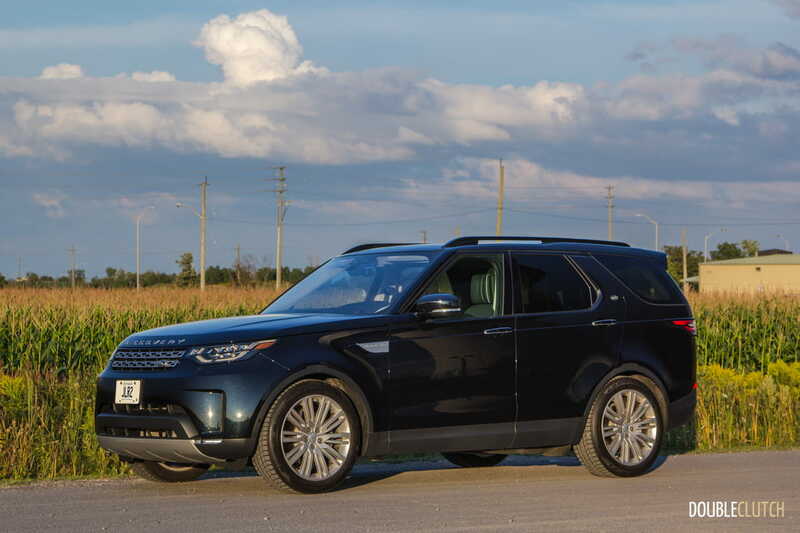 The slow steering is very reminiscent of the Range Rover, with good response and on-center feel, along with surprisingly good handling characteristics when hustling it a bit. Considering the tall, narrow shape of the car, it does roll a bit on fast corners. 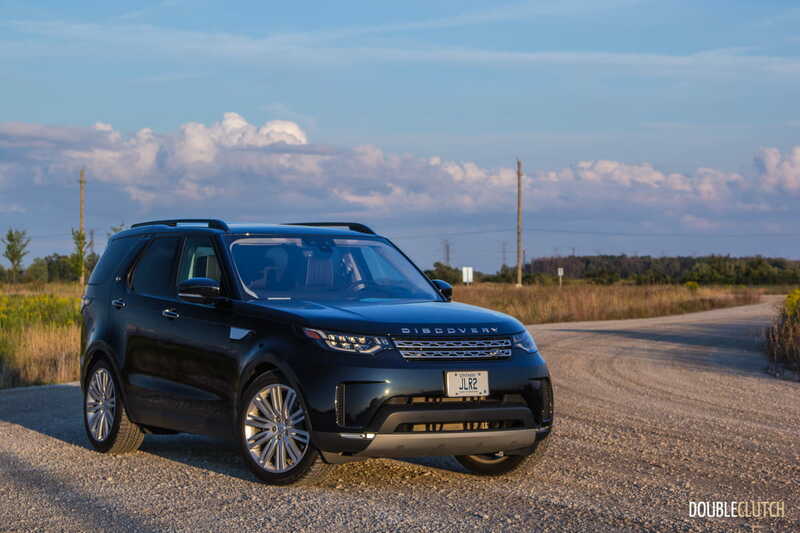 The air suspension system is adjustable, and models with this option can have a 34-degree approach and 30-degree departure angles, significantly better than the 29/27 numbers of vehicles with coil setups. 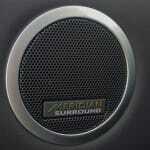 What’s really special on board the new Discovery is implementation of the Terrain Response 2 system. This includes a two-speed transfer case, and adjustable variables including the four-wheel-drive system, throttle, and transmission mapping for a variety of conditions. 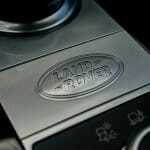 This means the truck is capable of wading through a river up to 35.4 inches deep, and a lot more. 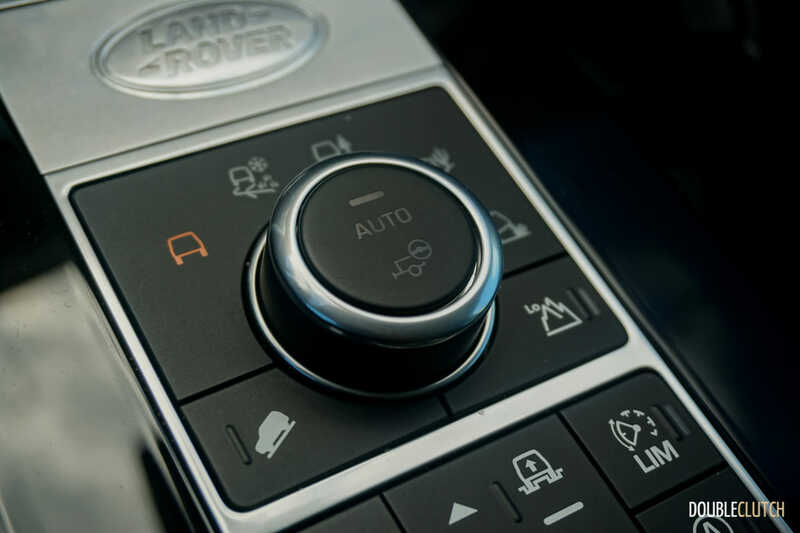 The Terrain Response knob can, for the most part, be left in “Auto”, but can be manually set to one of the preset condition settings, which include General Driving, Rock Crawl, Grass/Gravel/Snow, Mud/Ruts, and Sand. This test took place during one of the most expensive weeks for Canadian fuel prices all year, which thankfully didn’t impact diesel costs all that much. 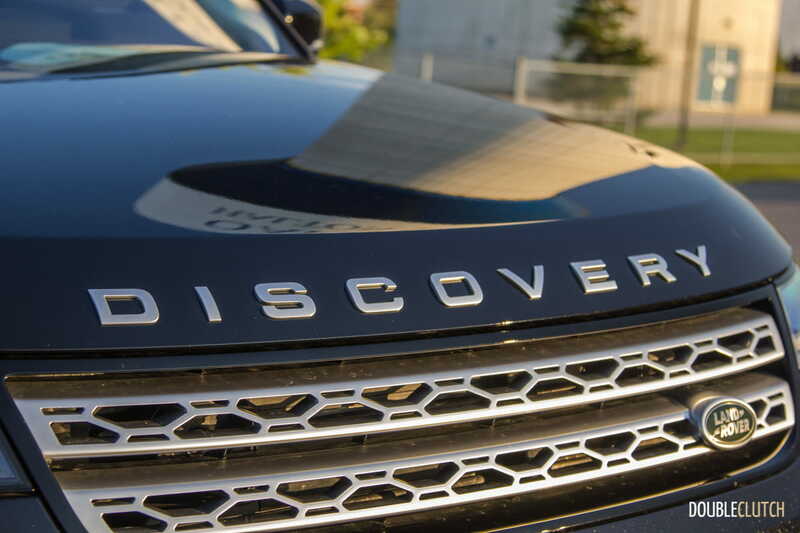 Over a heavily city-biased commute of approximately 600km, the Discovery Td6 delivered 9.4L/100km with no real effort to maintain efficiency. We observed highway numbers closer to the 8.4L/100km mark, though we estimate that with a very light foot and more conservative driving, numbers in the mid-7L/100km mark should not be too hard to muster. This is 40% better than our test in the supercharged gasoline variant of the new Discovery. 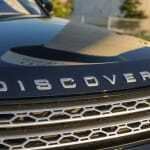 So, with there being scandal around Volkswagen and their diesel powertrains, how relevant is this motor? 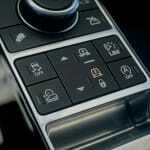 Rivals such as the BMW X5 xDrive40e (reviewed here) and the Porsche Cayenne S e-Hybrid (reviewed here) are going a long way to prove that yes, electric propulsion is the way of the future, but in many areas of the continent, the charging infrastructure just isn’t there yet. 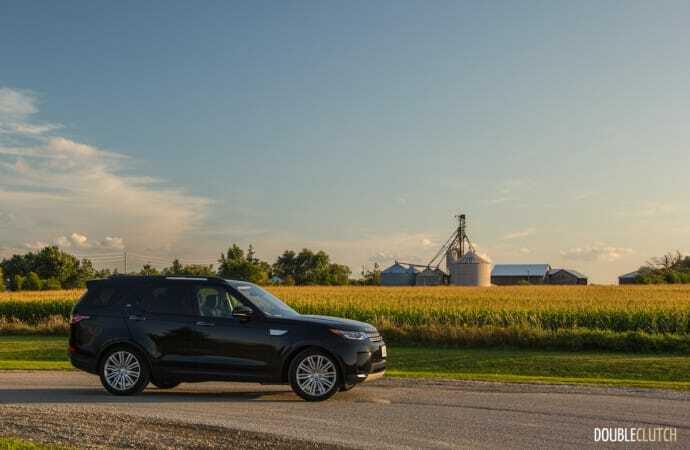 Diesel fuel isn’t offered at every single gas station, but regardless of where you are in North America, chances are it’s available somewhere nearby. With urea injection/DEF (diesel exhaust fluid) pretty standardized, these motors are fairly clean and easily meet emissions requirements. 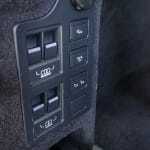 I’m all for diesel, and many of the same competitors (read: BMW and Mercedes-Benz) still offer this option as well. 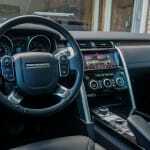 The interior is plenty nice, a solid upgrade over the LR4 (reviewed here) this vehicle replaces. 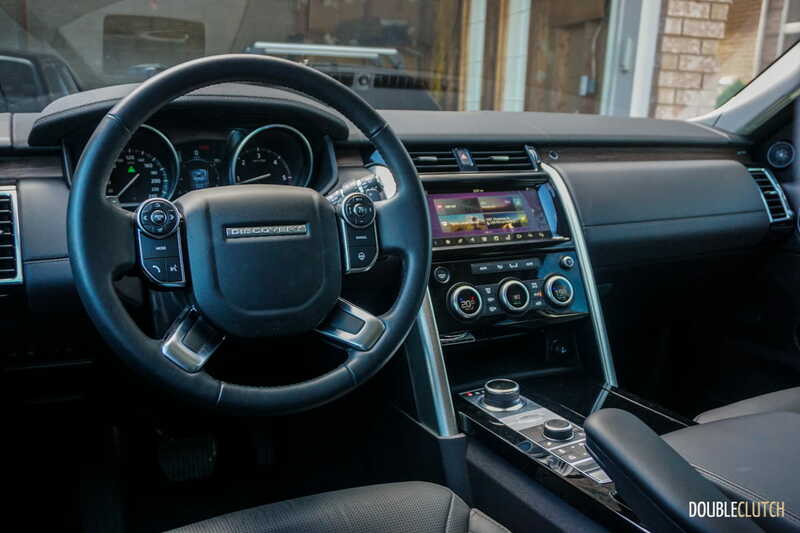 The steering wheel has been lifted straight out of the Range Rover models, minus the leather covering on the center piece. 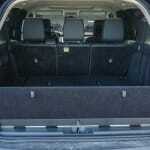 Overall materials are very nice and up to par for the price point, with good quality throughout. 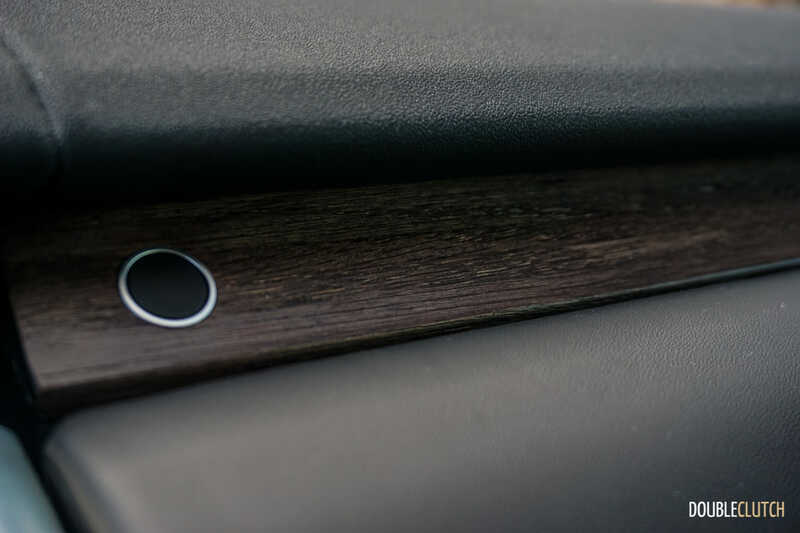 Our test vehicle was equipped with some soft open-pore wood accents throughout the cabin, which contrasted nicely with the piano black lacquer on the center stack. 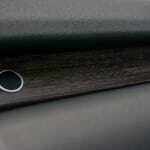 It would have been nice to see the open-pore wood carried out throughout, as the piano black shows fingerprints as well as scratches quite easily. 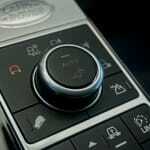 Controls are adequate, with most major controls being integrated into the InControl Touch Pro system. In this application there is a 10.2” touchscreen, which still does not offer Apple CarPlay or Android Auto connectivity. This setup is a vast improvement over the previous system, but still exhibits lag on certain occasions and had issues maintaining consistency with USB audio playback. 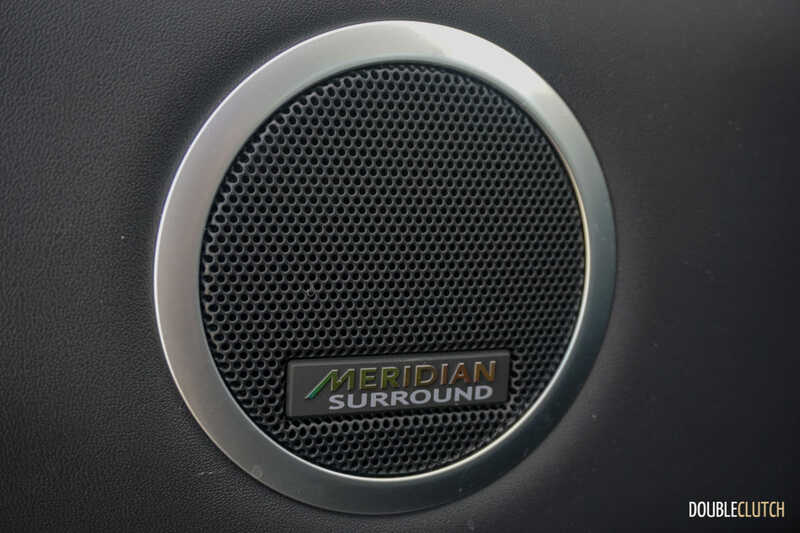 On the plus side, the 875-watt Meridian audio system is among the best available today, bested only by Volvo’s application of Bowers & Wilkins. 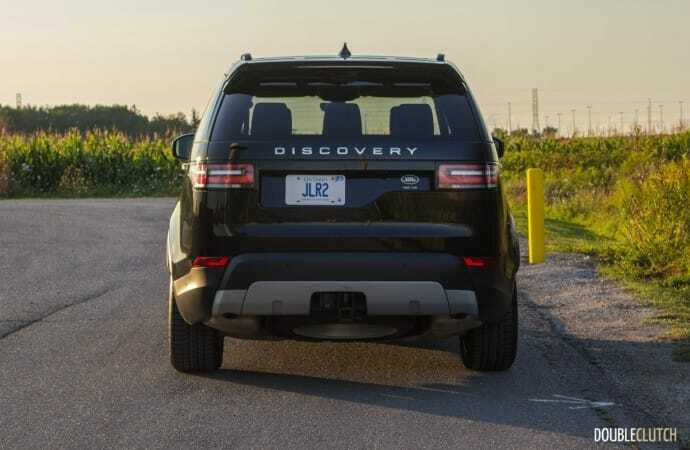 The Discovery does offer three rows of seating, but it must be mentioned that with the third row seats in place, there is zero space in the rear cargo area. 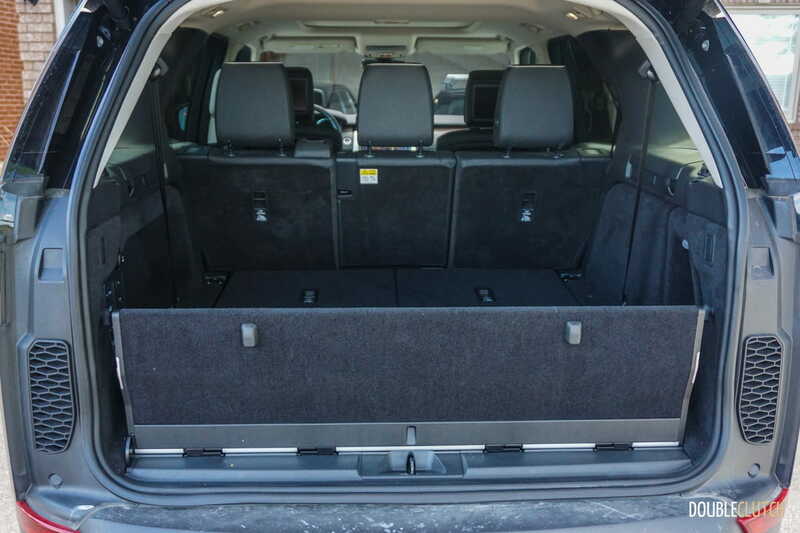 On the plus side, the power-folding third row is a neat party trick, operated by buttons in the rear cargo area. 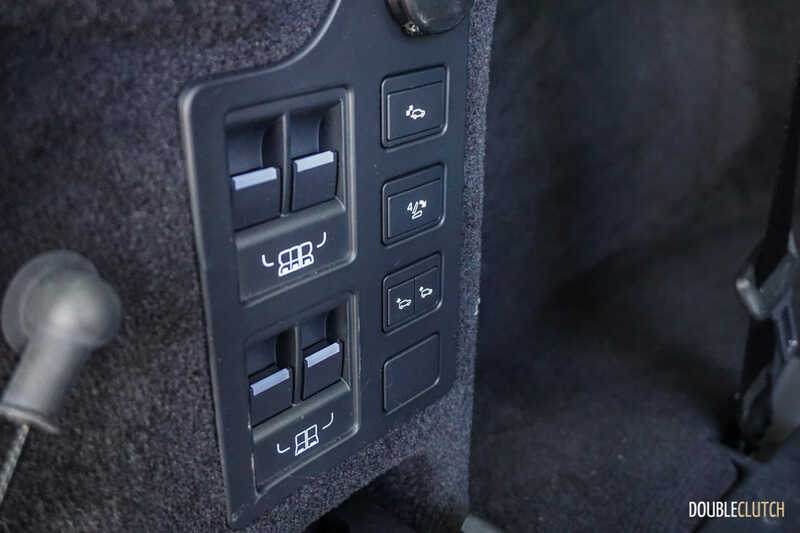 If there isn’t sufficient space for the seats to fold/unfold, the mechanism power-tilts the second row of seat a few degrees forward to make room for the operation – more vehicles need this. Our test actually did make use of the third row, with a quick stint across town with six on board. There was minimal complaining from six-footers in the third row, but again – only a short stint. 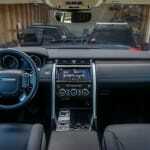 The driving position is quite good with plenty of leg and headroom in the first two rows. 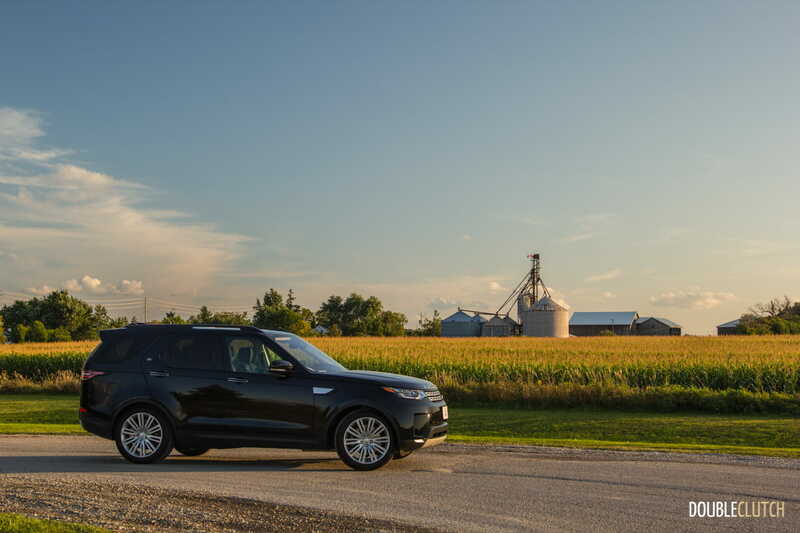 The taller stature of the Discovery means even with the equipped panoramic sunroof, taller drivers will have no issues staying comfortable. Visibility is also good; blind spots are minimal even despite the thick C-pillar. 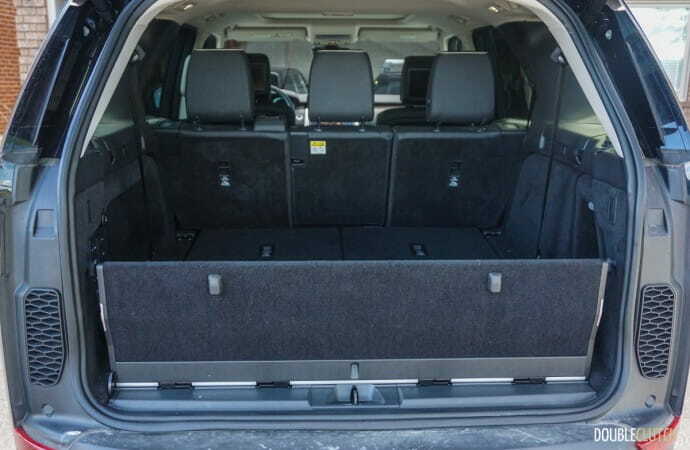 The rear panoramic sunroof is a fixed unit, but the power-retractable shade quickly opens to brighten up the cabin, making for a nice greenhouse effect. 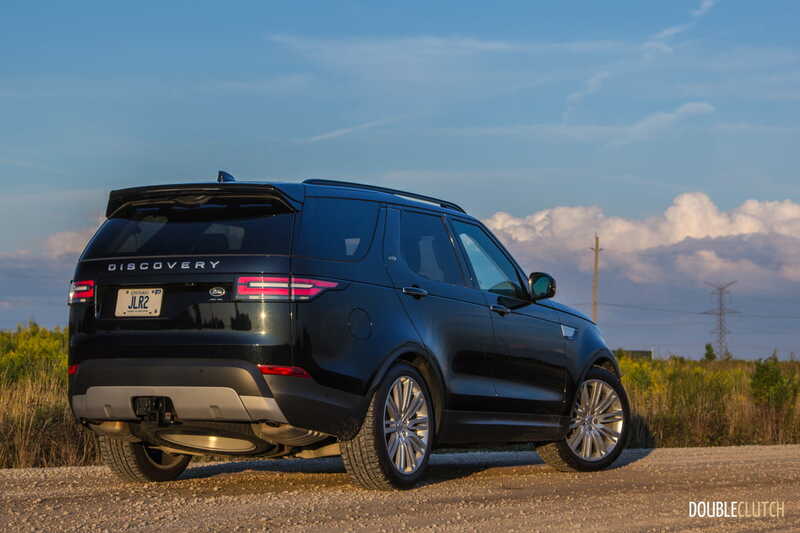 After it spent a week in our garage, our editorial team remained evenly split with regards to the new Discovery’s styling. Many consider it to be over-styled and almost cartoon-like in its appearance, but personally I like the way it looks. The general proportions are quite attractive, and it’s handsome with the right colour/wheel combination. The aforementioned thick C-pillar and swoop into the rear quarter window makes for a nice design cue, and combines well with the LED lighting and large 20” wheels. 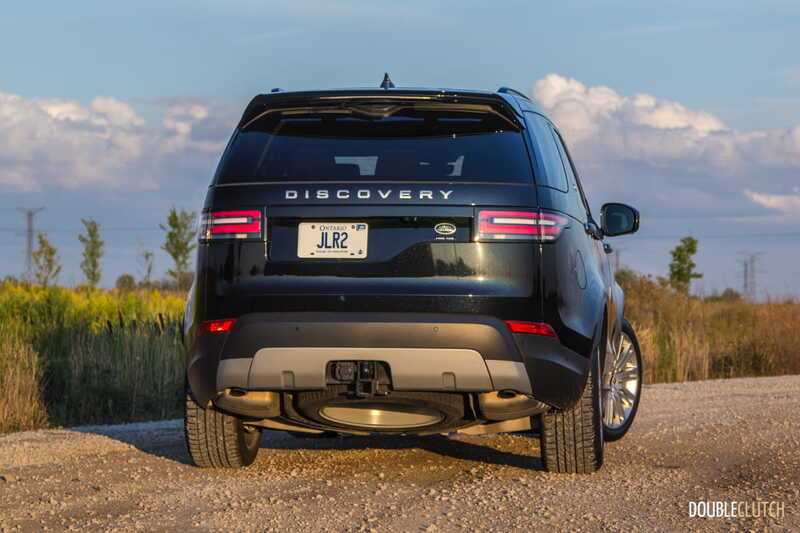 The rear end is a bit polarizing, with the off-centre license plate, making for an asymmetrical look. The release button for the deck lid is also offset a little bit, which can be confusing. 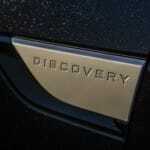 The new Discovery sits directly above the smaller Discovery Sport in the Land Rover lineup, starting at $61,500. 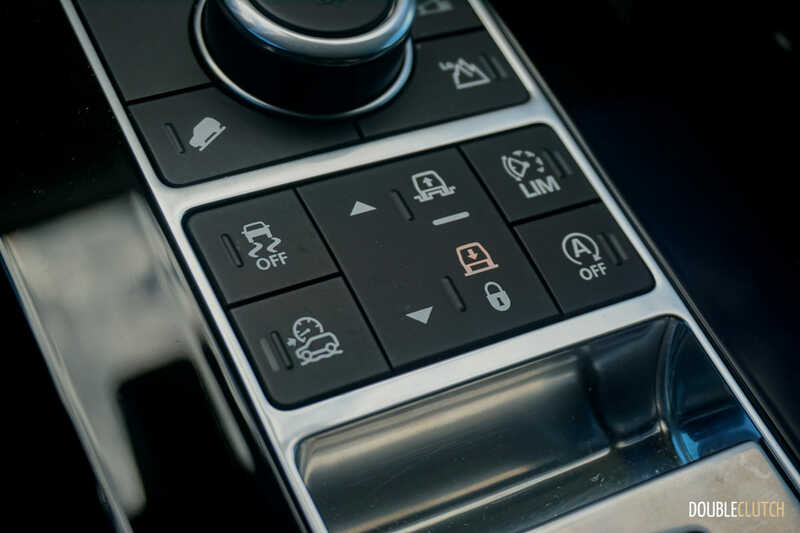 Opting for the Td6 motor requires selecting the HSE or HSE Luxury trims, which start at $70,500 and $77,000, respectively. The HSE Luxury adds standard features such as the two-speed transfer box, 20” wheels, Windsor leather seats (power 16-way fronts), three-zone climate control, panoramic sunroof, air suspension, a powered third row seat, and the 825W Meridian stereo. 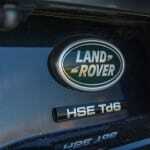 On top of the HSE Luxury grade, our test vehicle was very generously equipped. 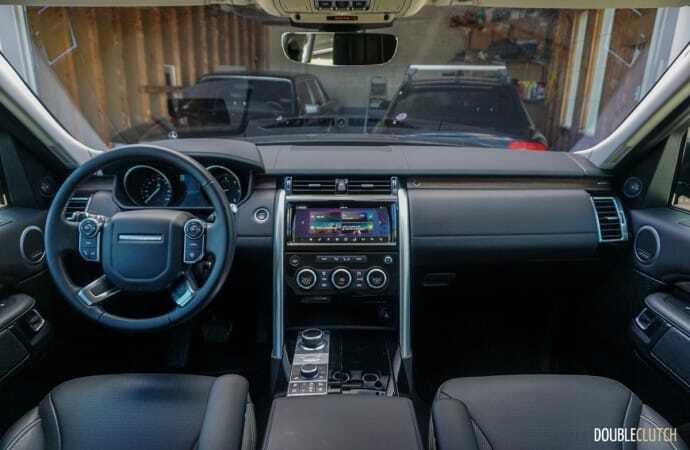 This model added Farallon Black paint ($1,800), a Drive Pro Package for $2,300 (blind spot assist, driver condition monitor, adaptive cruise control, lane keep assist, etc. ), Vision Assist Package for $1,000 (LED headlights, surround camera system, auto dimming exterior mirrors), Capability Plus Package for $1,200 (Terrain Response 2, air suspension, locking rear differential), and Advanced Tow Assist ($400). 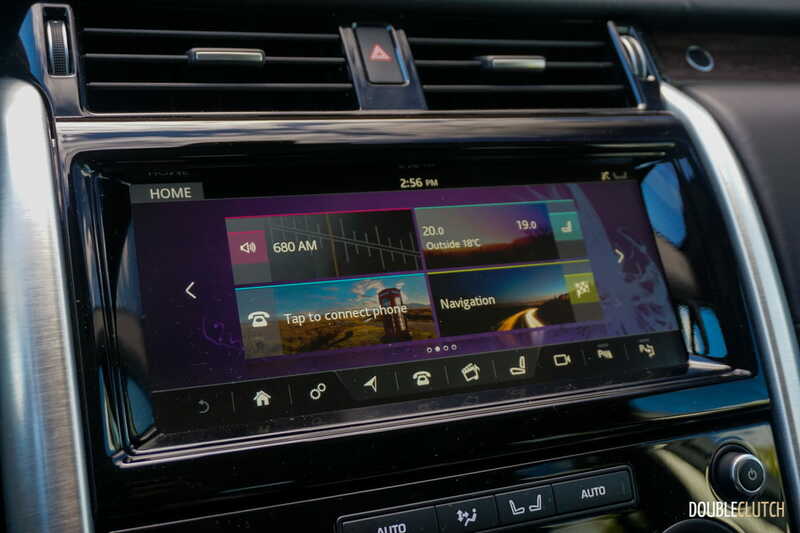 Lastly, a heads-up display adds $1,000 and rear seat entertainment with two screens adds $2,000 to the total sticker, cresting $88,000. 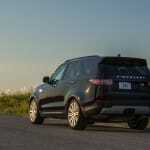 The 2018 Land Rover Discovery HSE Td6 is an exercise in consistency, only proving that since under the helm of Indian giant Tata, Jaguar Land Rover has not produced a single vehicle that falls short of expectations. 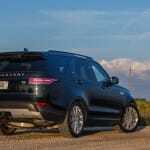 This vehicle offers considerable value and competition against the Volvo XC90 (reviewed here), Mercedes-Benz GLE, and Audi Q7, with more off-road capability and a very efficient powertrain option. 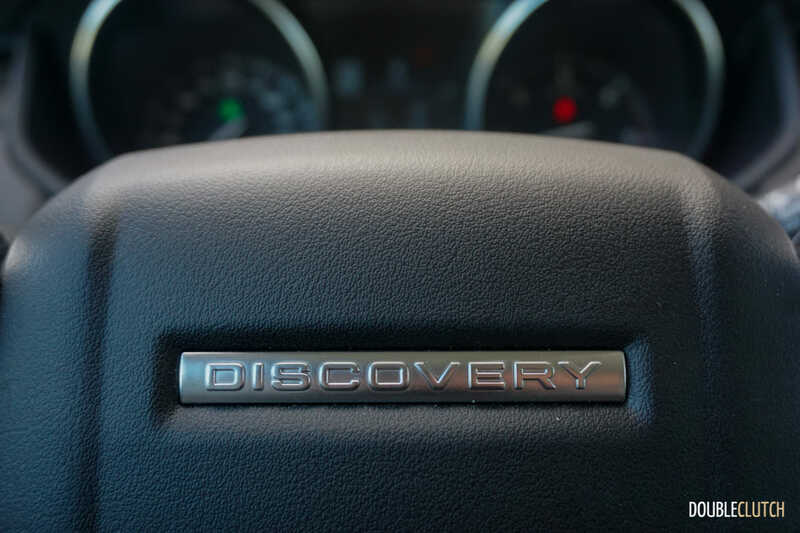 The Discovery has yet to go the plug-in hybrid route, but maintains a more traditional diesel layout and proves that diesel is not a thing of the past, and this technology still has a life expectancy in the foreseeable future.